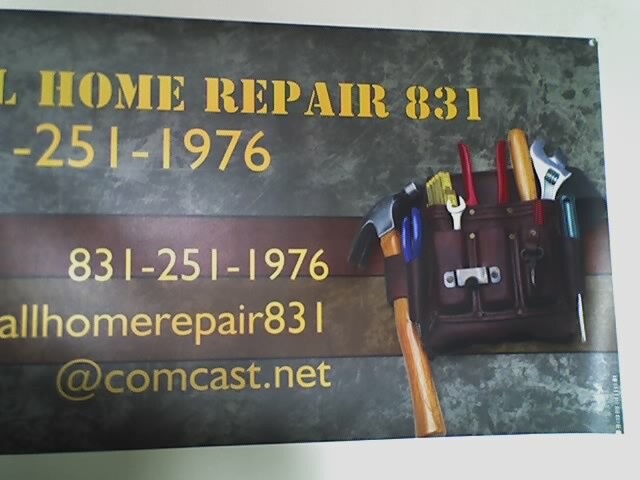 To perform all your home repair needs, however big or small. To do this in a courteous manner, be on time, and fit your budget. To be professional in all aspects of our work: there will be no dragging-out of your job, just prompt, reliable, courteous and professional service. 20 Years of experience in all areas of home repair: electrical, plumbing, carpentry; we even include 4 years of landscaping and lawn maintenance experience. Call 24 Hr.We are based in Santa Cruz,California:will travel within a few hours radius. The Flat Roof Specialist and All Home Repair;we are well equipped with tools and what we do not have ,we will provide or negotiate with you,to do the job right the first time.